Integrating Dynamics Plus with Freshdesk enables you to view customer information from Dynamics in your Freshdesk ticket and vice versa. You can also sync contact and account information between your Dynamics and Freshdesk account. Dynamics Plus app supports the following features: Dynamics Sync: With Dynamics Sync, you can sync Dynamics CRM contacts and company information with Freshdesk and vice-versa. With the help of Master source of data feature, you can choose between Dynamics CRM and Freshdesk to be the master or slave for data sync. Apart from default field mapping, you can also map contact and company fields including custom fields. Master Source of Data: During an update collision, always the slave side information will be overwritten by master information. This also includes any updates in contact’s account mapping. For example, if you have chosen Dynamics as Master Source of Data and if you update a company or account information in Freshdesk, this update will not be synced with Dynamics CRM, instead the Dynamics CRM company or account information will be overwritten in Freshdesk. Sync Settings: You can configure the Sync mechanism using this option: 1. From Dynamics to Freshdesk - The sync is always performed from Dynamics CRM to Freshdesk. 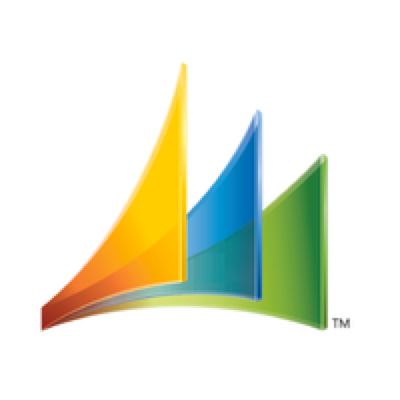 By default, Dynamics CRM will be the master. 2. From Freshdesk to Dynamics - The sync is always performed from Freshdesk to Dynamics CRM.By default, Freshdesk will be the master. 3. Two-way sync - This sync is bidirectional, you can choose the master source of Data to be either Dynamics CRM or Freshdesk. Set Frequency: You can also set a sync frequency based on your requirements, currently, you can set - every 30 Mins Once, Hourly, and Daily. Contacts Field Mapping: By default, the following fields are mapped - Full Name, Email, Mobile phone, and Work phone. You can map up to 25 fields including the default fields. When the Dynamics Sync is enabled, field mapping can be performed based on the match with Accountid, Email, Mobile Phone, and Work Phone - in this order. Before enabling the Sync feature, you need to manually create custom text fields in Freshdesk - dycontactid and in Dynamics CRM - fdcontact. Company Field Mapping: By default, the company Name field is mapped. You can also map up to 25 fields including the default field. Before enabling the Sync feature, you need to manually create custom text fields in Freshdesk - dyaccountid and in Dynamics CRM - fdaccount. Field Visibility: With the previous Dynamics Plus App, you can view Contact, Lead, and Account fields. As an enhancement with Dynamics CRM, you can also enable contract and order fields that can be viewed in the Dynamics CRM requester information in the Ticket Details page. You can view the latest five entries of the contract and order information.